The “ambush-style” attacks of two police officers in Iowa is strengthening the call from lawmakers to pass so-called “Blue Lives Matter” legislation. 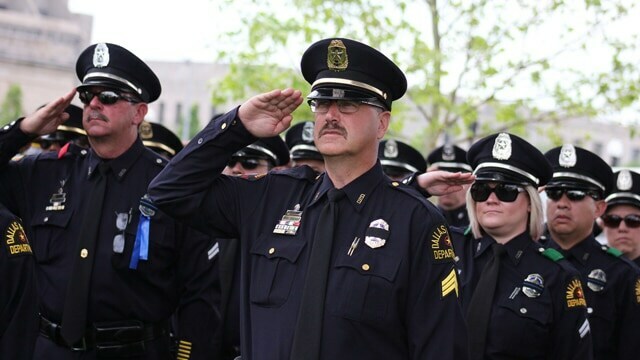 Over the summer, Iowa State Rep. Ken Rizer announced he’d be introducing such a bill in the wake of ambush shootings of officers in Dallas and Baton Rouge. Now, after an attack on two officers near Des Moines, he’s renewing his push. “When I heard about it, I thought, it really happened,” Rizer told Time. The crux of Blue Lives Matter laws involves stepping up penalties for people who target and carry out crimes against police officers. The effort aims to deter violence against police while showing cops the government has their back. Louisiana passed a Blue Lives Matter law. It makes it a hate crime to target police officers, and adds a penalty of five years in prison and a $5,000 fine for felony convictions against police. Efforts to enforce the law, however, have faltered, and no such charges have yet to stick. Police unions and organizations around the country like the idea, especially as violence against police is on the rise. But there are also opponents. The Anti-Defamation League helped write the hate crimes laws of the 1980s, but the group isn’t fond of Blue Lives Matters laws. Still, other states are proposing similar versions of the law, including Florida, Kentucky, New York, Texas and Wisconsin.